iGRIND4REAL: #CelebNews TIDAL To Donate $1.5 Million To Black Lives Matter, Other Groups! #CelebNews TIDAL To Donate $1.5 Million To Black Lives Matter, Other Groups! Back in October, Jay Z‘s music streaming and video service network Tidal put on the inaugural Tidal X: 10/20 charity concert. Joining forces with Roc Nation, Tidal will gift $1.5 million to Black Lives Matter and other related social justice groups. Mic.com shared details regarding the impending donation last Friday (Feb. 5) in an exclusive report. It was also the same day that Florida teen Trayvon Martin would have celebrated his 21st birthday so the announcement was fitting as the Black Lives Matter movement was sparked partly due to his untimely death. Tidal’s group of artist owners, which includes several of the musicians who performed in October’s sold-out show including Beyoncé, Nicki Minaj and Jay Z, took part in deciding which organizations would receive funding, the streaming service told Mic. The majority of the groups to benefit are social justice activist groups and organizations, with a large portion of these specifically committed to ensuring the nation understands that black lives matter. Tidal’s grants will be administered through the New World Foundation, which funds several civil rights groups and social movements. The nonprofits Tidal will fund include Opportunity Agenda, Hands Up United, Sankofa.Org, as well as local organizing groups in California: Community Coalition; Florida: Dream Defenders; Illinois: Black Youth Project; Maryland: Baltimore Justice Fund; Empowerment Development Corporation; New York: Million Hoodies; NY Justice League and Ohio: Ohio Students Association/Organizing Collaborative. 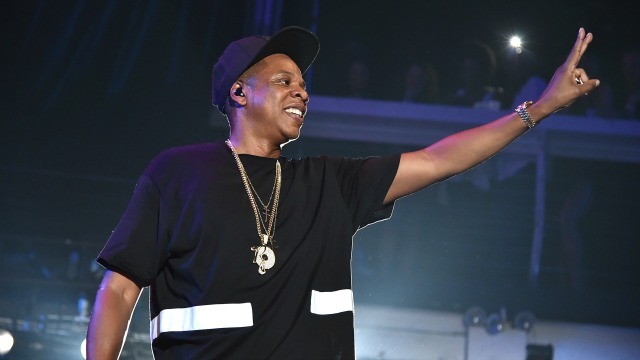 Tidal and Roc Nation have plans to put on more related concerts and philanthropic events in the future. Kudos to Jay Z and all of the artists involved. The 10/20 concert took place last October in Brooklyn and featured Jay Z, his wife Beyoncé, Nicki Minaj, Lil Wayne and Nick Jonas.